It was an honor to be featured on the Forbes web site last week. Robyn Shulman highlighted five ‘education entrepreneurs’ and included me on the list along with Vicki Davis, Will Richardson, Kristen Swanson, and Angela Maiers. I know Robyn has more names on her list and will be sharing those over the next few weeks. Stay tuned for more! I created a new Innovation Academies page to better describe that work. I love those opportunities when I have an ongoing, long-term engagement with a district’s leadership team! It’s quite possibly my favorite work that I do because we can really see a district move significantly in a short period of time when all of the leaders have shared understandings, capacity, and commitments. I also updated my Presentation and Workshop Topics page. I decided to feature a dozen or so main keynote and session topics. And then I listed several dozen more possibilities after that! If it has to do with leadership, innovative learning and teaching, school transformation, and/or technology, I’m in. Dean Shareski and I have a new book coming out later this year regarding the relevance gaps that we see in schools. I am hoping to get final edits back to Solution Tree this week. He and I also have a session at ISTE on this topic. My third book, co-authored by Julie Graber, hopefully will be in print by the end of this year. The focus of the book is on how to utilize the trudacot discussion protocol to (re)design technology-infused lessons, units, and instructional activities. The bulk of the book is concrete example after concrete example of how to do this, across grade levels and subject areas. Julie and I will send the draft of that book to Solution Tree in early February. And… I now have a speakers agency. This is a very new idea for me. I figure if they’re representing Will Richardson, Tony Wagner, Alan November, and David Thornburg (among many others), they probably know what they’re doing! Let me know if you’d like more information on any of these. And please stay in touch as I can be of help and support to you! Hope you will join me and Julie Graber in June for our ISTE workshop… Register here! Avoid the pitfalls of tech integration – technology for technology’s sake, focus on tools rather than the learning – by being thoughtful and purposeful about lesson (re)design. Bring your own lessons and units, and we’ll help you make them better. ISTE Administrator Standards A-2, ISTE Teacher Standards T-2, ISTE Coach Standards C-2. Although we selected only one of the NETS-T standards, this session actually will focus on the first three. These three standards – as well as the selected NETS-A and NETS-C standards related to digitally-enabled learning – are at the heart of this workshop. The purpose of this workshop is to help administrators and teachers assess when higher-order thinking skills and student agency factors are (or are not) present in classroom uses of technology by students and teachers. 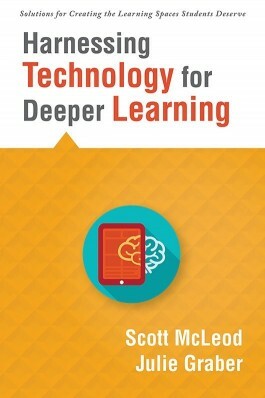 Right now most educators are poor judges of deeper, richer technology usage, which is why we see lots of lower-level technology use instead of schools taking advantage of the rich affordances that digital learning technologies could bring to our classrooms. Laptops and Chromebooks tend to play best with Google Docs and Sheets, which is what we will be using to facilitate some of our work together. Ability to access Google Docs and Sheets is needed. In addition to bringing a computing device, participants also should bring a unit or a few lessons that they would like to redesign. This session focuses on the intersections of digital learning technologies, higher-order thinking skills, student agency, and authentic, real-world work. In this workshop we will redesign lessons and units with the intent of getting beyond lower-level academic work and technology usage. By the end of the workshop, participating administrators and teachers will have practiced using the trudacot protocol to 1) diagnose and redesign others’ lessons, and 2) create new lessons, or revise existing ones, of their own. In addition to bringing a computing device, participants also should bring a unit or a few lessons that they would like to redesign. | 10 minutes – We will start the workshop by looking at some different technology integration and/or deeper thinking frameworks (TPACK, SAMR, RAT, Bloom’s, Webb’s, IPI, AIW, etc.) and quickly discussing the strengths and weaknesses of each. | 10 minutes – We then will introduce participants to a technology-rich unit design and classroom observation template (trudacot), which pulls from the strengths of multiple frameworks while simultaneously covering existing gaps in those frameworks. | 60 minutes – We will spend most of the first half of our workshop applying trudacot in depth to one or two video examples of technology-infused lessons (with accompanying lesson plans) so that administrators and teachers can practice utilizing the template with actual lessons to make judgments about the presence/absence of higher-order and active learning; critical thinking and problem-solving; collaboration; authentic, real-world work; and other high-leverage characteristics. In short, we will redesign one or two lessons from elsewhere to make them richer and more robust. | 10 minutes – We will take a break! | 90 minutes – Moving beyond others’ lessons, we then will rebuild (or build new) lessons of our own using trudacot to facilitate our dialogues. Participants will work in triads throughout the workshop to ensure that multiple lenses and perspectives are informing our design work. | This will NOT be a sit-and-get session with a few questions at the end. We will be talking continuously with each other throughout the workshop, so questions will be actively solicited throughout rather than waiting until the end and letting just a few folks ask questions. 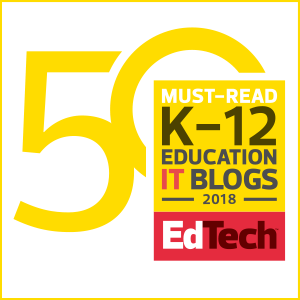 There is a wealth of research on the TPACK and SAMR frameworks, Bloom’s taxonomy, Webb’s Depth of Knowledge, the Authentic Intellectual Work framework, the Instructional Practices Inventory, the Florida/Arizona Technology Integration Matrices, and other mental models of technology integration and/or higher-order thinking work. Unfortunately, each of these is limited in terms of utilization as a lesson (re)design framework. We will be pulling these together into a comprehensive template that draws from existing frameworks but also remedies their individual gaps. It is absolutely critical that educators have the ability and tools to examine, dissect, and rebuild student and teacher classroom technology uses for the purpose of achieving higher-level thinking, greater student agency, and authentic, real-world work. Right now we are doing a poor job of helping educators with these tasks. The purpose of this workshop is to help with this concern. 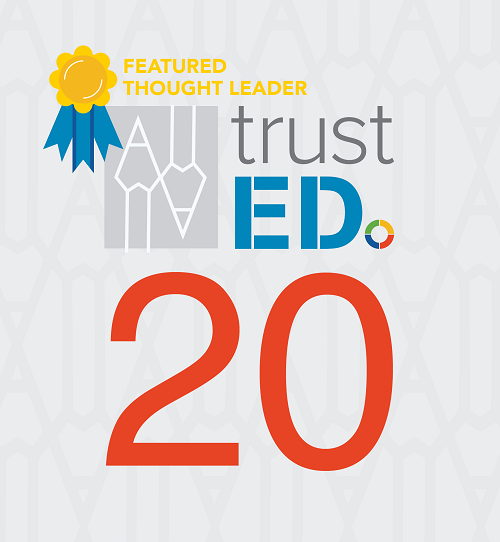 Scott McLeod, J.D., Ph.D., is widely recognized as one of the nation’s leading experts on K-12 school technology leadership issues. After 14 years as an Educational Leadership professor, Dr. McLeod currently serves as the Director of Innovation for Prairie Lakes Area Education Agency in Iowa. He also is the Founding Director of the UCEA Center for the Advanced Study of Technology Leadership in Education (CASTLE), the nation’s only academic center dedicated to the technology needs of school administrators, and was a co-creator of the wildly popular video series, Did You Know? (Shift Happens). 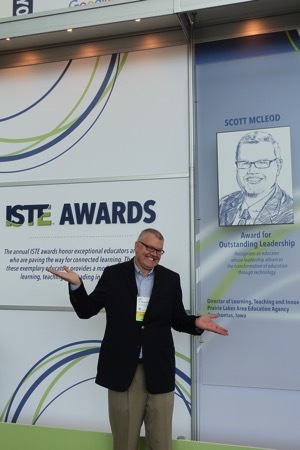 He has received numerous national awards for his technology leadership work, including recognitions from the cable industry, Phi Delta Kappa, the National School Boards Association, and the Center for Digital Education. In 2011 he was a Visiting Faculty Fellow at the University of Canterbury in New Zealand. In 2013 he received the Technology Leadership Award for the state of Iowa. Dr. McLeod blogs regularly about technology leadership issues at Dangerously Irrelevant and is a frequent keynote speaker and workshop facilitator at regional, state, national, and international conferences. He also is the co-editor of the book, What School Leaders Need to Know About Digital Technologies and Social Media. Julie Graber is a passionate educator who is most interested in seeing teachers and administrators improve learning opportunities for students. Deeper thinking with technology, authentic learning, curriculum design, and performance assessments are some of Julie’s many areas of expertise. 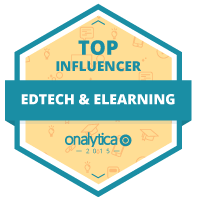 After 13 years as a technology coordinator and business/computer teacher, Julie currently serves as an Instructional Technology Consultant for Prairie Lakes AEA by supporting educators with effective teaching, leading, and technology practices. Julie was one of four coaches in the state of Iowa to first be trained in Authentic Intellectual Work (AIW). She has served on several state leadership teams, including the North Central STEM Hub Advisory Board and the Design Team for the Iowa Competency-Based Education Collaborative. Julie is certified in the Instructional Practices Inventory and provides training for Defined Learning. In 2014, Jay McTighe asked Julie to join his group, McTighe and Associates, to conduct workshops for educators using the Understanding by Design curriculum framework. Julie is a regular local, state, and national presenter focusing on student-centered learning, authentic work, and project-based learning. Is it wrong for me to wish the ISTE keynotes focused more on ed tech? I love ISTE and the ISTE conference. But every year I wish more of the keynotes were actually helpful to our technology integration and implementation efforts. It is an educational technology conference, after all, and we have lots of needs in the actual topic area of the conference. The goal of this grant program is to fund INNOVATIVE uses of digital learning tools by students and educators. 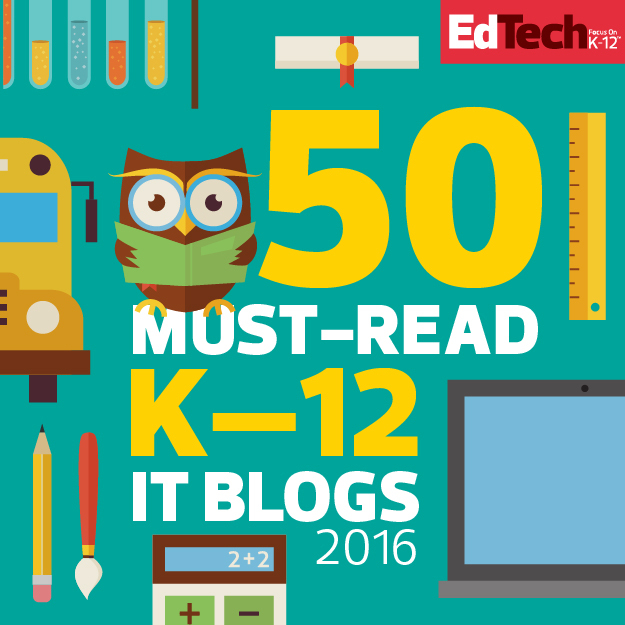 Don’t just tell us you ‘need some iPads.’ Dream bigger than electronic worksheets. And please, please, please don’t send us a proposal describing how your students need drill-and-kill apps or software. We’re looking for visionary, not replicative. We’re looking for 10X thinking, not 10% thinking. 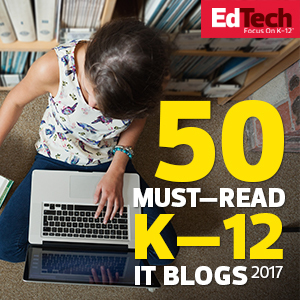 Tell us what your students are going to do with the digital learning tools and why it will be incredible. Describe for us why your students can’t make a difference in their learning and the world around them without these funds. Speak to our hearts as well as our minds and sell us a vision of learning and teaching that’s inspiring and amazing! What will your moonshot be? Got a great idea worth funding? Visit the CenturyLink Teachers & Technology Grant Program web site to learn more. The deadline is January 2, 2015.